In my previous post, I introduced you to the world of web maps and how the world of geo web development has become more accessible for wanting to get started straight away in creating web maps with little to no web development skills, thanks to the intuitiveness of sites like CARTO. As explained previously, for many this is maybe all you are looking for or need, but others may want to explore options more integrated into existing offline GIS software, and get involved customisation and coding further. I would imagine most readers are familiar, or at least aware of ESRI and ArcGIS. Obviously there is the ArcMap which provides the offline desktop solutions for GIS, and ArcGIS Pro which is a 64 bit version of the former more integrated with the ArcGIS Online environment. If you are fortunate to have either, the advantage of using ArcGIS for web development is that it is integrated into the ESRI ‘suite’ and licence which means any web maps and or feature services can be used on desktop, web applications and mobile applications. The advantage of ArcGIS Online is that it does have greater functionality generally as well, but also works on two different levels of user. For those who want the ‘out-of-the-box’ maps, this is relatively easy to do – data can be uploaded either directly via the ArcGIS Online website, or through uploading of ‘feature services’ from ArcMap or ArcGIS Pro. You can then alter the styling in much the same way as you can within the desktop version. I would suggest if you are relatively used to a GIS environment, ArcGIS Online shouldn’t be too much of a step up, but may be a learning curve for those who aren’t. Additionally, you can enrich your data by using (and contributing to) data from the ESRI Living Atlas of the World, as well as use the powerful analysis tools which ArcGIS Online provides, from simple proximity analysis to viewsheds, something which other platforms can’t really compete with in terms of scope and number. Furthermore, ArcGIS Online has ‘out-of-the-box’ template web applications such as Story Maps, as well as mobile apps which provide more opportunity for sharing, customisation and innovation. The pricing of this is complex – it is possible to create a ‘free account’ on ArcGIS Online if it is for non-commercial use – “with a free public account, you can create, store, and manage maps, scenes, layers, and apps, and share them with others”. However, while it must be noted that many web mapping options have a free and paid ‘advanced’ versions, to really make the most of ArcGIS Online, a paid subscription is required. While uploading data can be relatively ‘safe’ on paid data credits, using analysis tools and map views can ‘eat up’ credits – more details on this can be found here. ArcGIS Online provides a great online environment for those who want don’t want to code, want to customise a bit, or get really hands on into the coding, working for all levels. With online support and courses, as well as being a market leader, this may an ideal ‘go-between’ for cartographers and geospatialists who want to go out their own pace with web mapping. 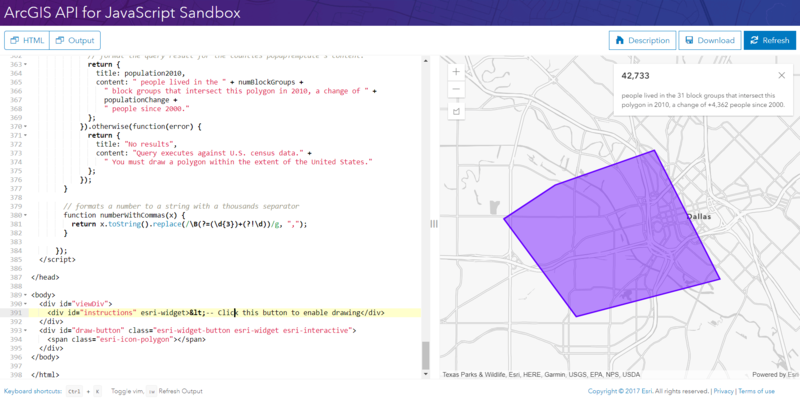 In my final post in this series, I explore a web environment, Mapbox which is has an intuitive digitising environment, but requires a bit of mucking in with web development skills to bring this to ‘screen’.